Rimsdorf is a village 60 kilometres north-west of Strasbourg and 28 kilometres north-west of Saverne, a town and sub-Prefecture on the Paris-Strasbourg road (N.4). 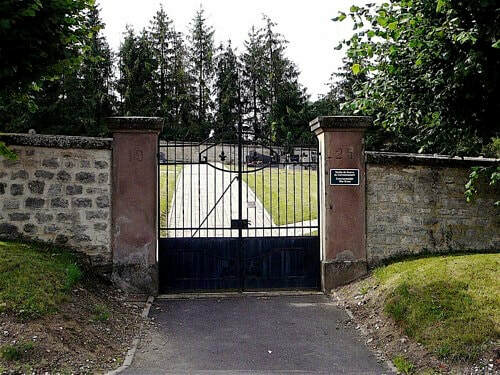 The new communal cemetery is on the western side of the village, on the road from Sarre-Union. 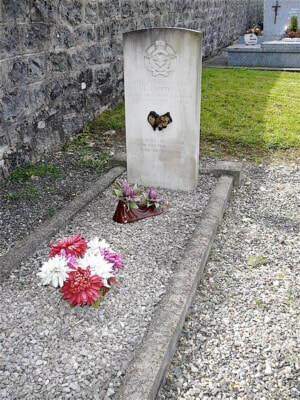 In the north-eastern corner is the grave of an Australian airman. 427535 Flight Sergeant Leslie Mutton, Royal Australian Air Force, died 29th July 1944, aged 21. Son of William Henry and Eveline Edith Mutton, of Claremont, Western Australia. INSCRIPTION. HIS DUTY FEARLESSLY AND SINCERELY DONE. EVER REMEMBERED.